The Range Rover 3.0L TDV6 engine was introduced in 2012 for the L405 model where its production continues today. 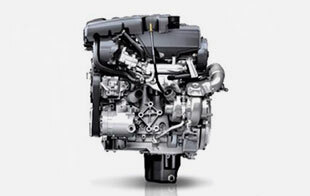 The Land Rover 3.0L TDV6 and SDV6 engine has been a very popular choice among customers and has been implemented in a variety of Land Rover and Range Rover vehicles. Why Armstrong Miller for Land Rover TDV6 and SDV6 engines? At Armstrong Miller we have quality replacement Land Rover engines for sale at the cheapest online prices. Our exceptional service includes stripping down the engine and thoroughly cleaning it using air, water and chemicals. Before delivering the second hand 30DDTX TDV6 and SDV6 Range Rover Sport engine to the customer, it is put through intense quality checks to ensure optimal performance. We give an extensive standard warranty on all Range Rover Sport reconditioned and remanufactured engines. Armstrong Miller employs has the most highly skilled Land Rover engineers in the industry. With their wealth of experience and vast knowledge, you can be assured of a fine quality replacement Discovery 4 30DDTX engine. We offer exceptional supply services in our state of the art garage or you can get your replacement Land Rover 30DDTX engine delivered to anywhere in the UK. Get in contact with Armstrong Miller today for prices on fully reconditioned, remanufactured and second hand engines or services for your existing Land Rover engine. Armstrong Miller strives for excellent service at a low-cost price so get in contact with our friendly customer service team today.